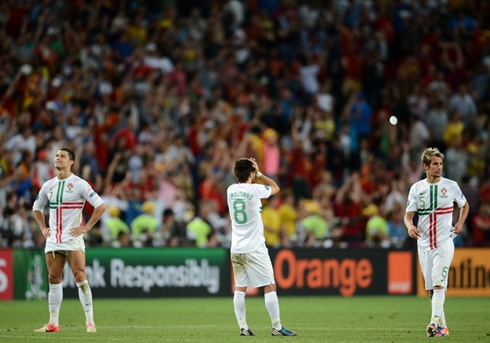 Portugal put on a good fight against the mighty Spain and forced all decisions to be made in the penalty kicks lottery, after a 0-0 tie that lasted until the end of extra-time. Unfortunately, luck didn't smile to the "Selecção" and Spain got through to the tournament's final, in a 4-2 victory, at the penalties shootout. 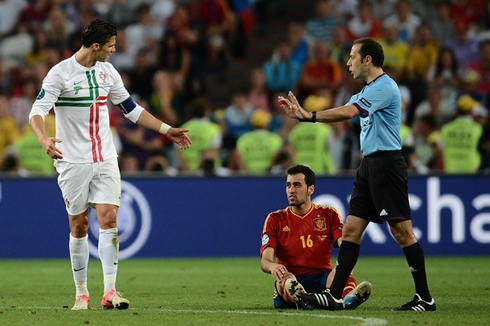 Portugal and Spain fought bravely for a ticket into the EURO 2012 final and the Spanish side ended being more lucky, after a dramatic penalties shootout decision. 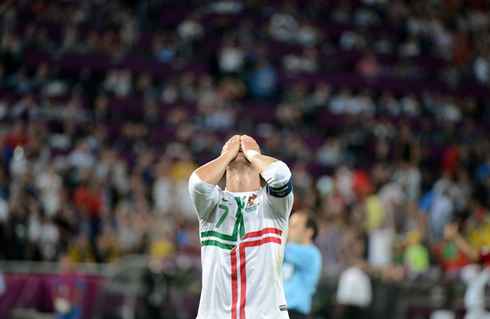 The goalless 0-0 tie after regular and extra-time, forced both teams to go into an always painful lottery of penalty kicks, where the Portuguese Team struggled and felt short to the fans expectations. 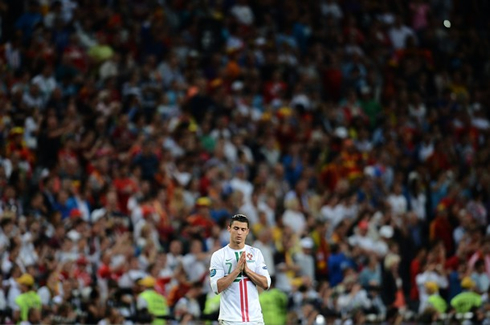 Cristiano Ronaldo didn't even have the chance to take his penalty-kick, as he got left for last (5th taker) and witnessed Spain already beating Portugal by 4-2 when his time had arrived. Ronaldo will now enjoy a few weeks of vacations, just before joining Real Madrid pre-season in the mid of July. 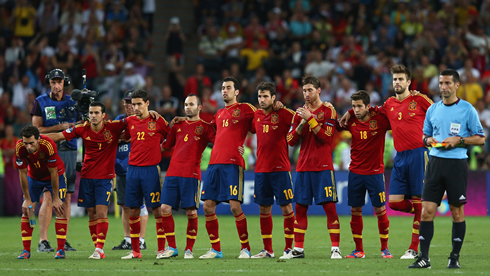 Spain, in the other hand, will start preparing themselves for the EURO 2012 final, against either Germany or Italy, in a match scheduled for this Sunday, the 1st of July. When everything comes down to penalty-kicks, it's hard not to point luck (or bad luck) as one of the most important factors in deciding who wins or loses. Spain and Portugal battled for roughly 120 minutes (90 minutes of regular time, plus another 30 minutes of extra-time), but none of the sides managed to take the lead and really excel over the other. There weren't many great goalscoring chances throughout the entire game, as both teams showed a big amount of respect towards each other and a great defensive display. 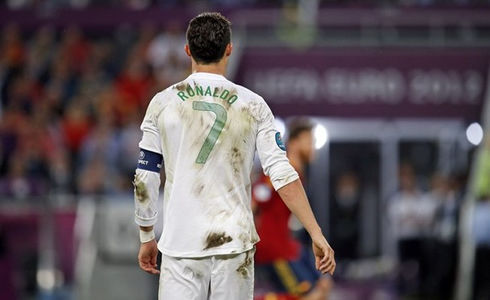 Unlike in the previous matches, Ronaldo couldn't find a way to leave his mark on the fate of the game and unfortunately, no other player from the Portuguese attack proved to be able to be considered a real threat to Real Madrid's goalkeeper and captain, Iker Casillas. With Hélder Postiga sidelined, it was Hugo Almeida who took his place as center forward, but like many predicted, he failed to live up to the expectations of such a big game. Nani completed the attacking trio, but he also struggled to show off his best game and never looked like he was capable of pulling off one of those great displays that he occasionally has for Manchester United. Nonetheless, the Portuguese team defended really well and the Spanish "tiki-taka" wasn't enough to break the wall that Paulo Bento had prepared for this game. Naturally, Spain ended the game with more ball possession than the Portuguese Team (57% vs 43%), but the truth is that they never managed to clearly outplay Portugal and put Paulo Bento's side against the ropes. The match was played intensely, as the high amount of fouls (51) and the 9 yellow cards shown, can easily demonstrate it. Even not peforming at their best, the Portuguese Team can at least be proud of the way they battled against the still European and World Champions, as they proved to be one of the most difficult opponents Spain had upon in official games, over the last 4 years. 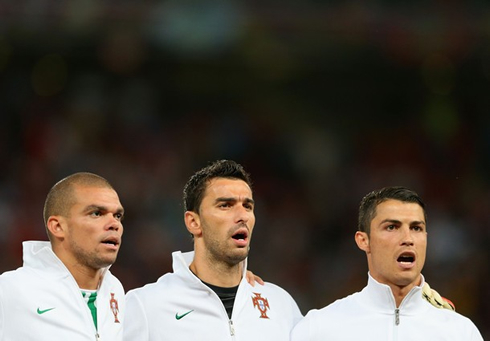 As for the penalty kicks shootout, Portugal won't be able to get away from a small controversy regarding the players order set to take the penalties. Cristiano Ronaldo was intentionally left to be the last player (5th) stepping up to the 12 yards spot and what happened was that Spain was already winning 4-2 when Ronaldo's moment to take the kick arrived. 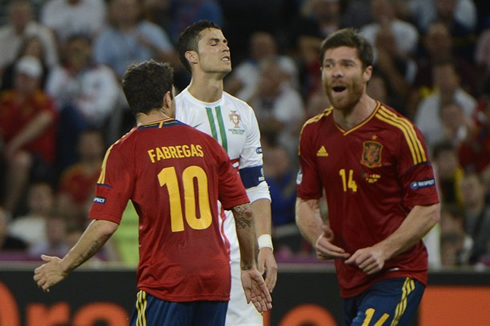 Since it wasn't possible to witness a comeback from that point onwards, rules say the remaining penalty-kick takers are dismissed and the game ended precisely there, just after Cesc Fabregas scored that 4th and winning goal for Spain. Before that, João Moutinho and Bruno Alves failed their chances and there was nothing much to be done unless Spanish players would miss their penalties as well. Unfortunately, that didn't happen, as only Xabi Alonso failed his penalty-kick and all the others managed to beat Rui Patrício. 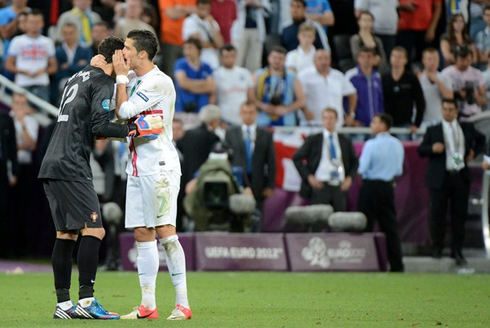 Could the fate of the game have been different if Ronaldo had been chosen to be the first penalty-kick taker? Basically, Paulo Bento gambled a bit, as he believed the decisive moment could actually be right when the Portuguese Team would take their 5th penalty-kick and he chose Ronaldo to be the man responsible if that scenario was to happen. As we all know now, it never came to that point and Spain went through the EURO 2012 final, and they are now waiting for either Germany or Italy. Real Madrid's season is now over and there are no games left in their schedule until the pre-seasons starts by July. 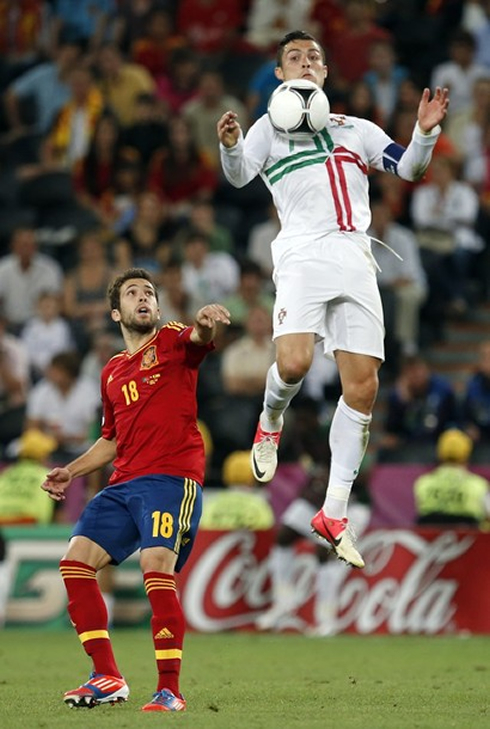 Cristiano Ronaldo has been with the Portuguese Team at the EURO 2012 and after being eliminated in the semi-finals against Spain, he's now expected to enjoy a few weeks of vacations. In the meanwhile, you can watch Germany vs Italy, from our football live streams section.